Check out this Allman Bros Tribute from the Metamorphosis Album! “Breezy Day” Has Been Released! My New Album Will Be Released Soon! 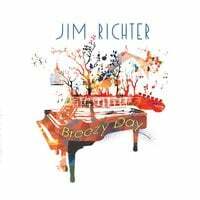 BUY "BREEZY DAY" NOW ON AMAZON! BUY "BREEZY DAY" NOW ON CD BABY! BUY "METAMORPHOSIS" NOW ON AMAZON! BUY "METAMORPHOSIS" NOW ON CD BABY!